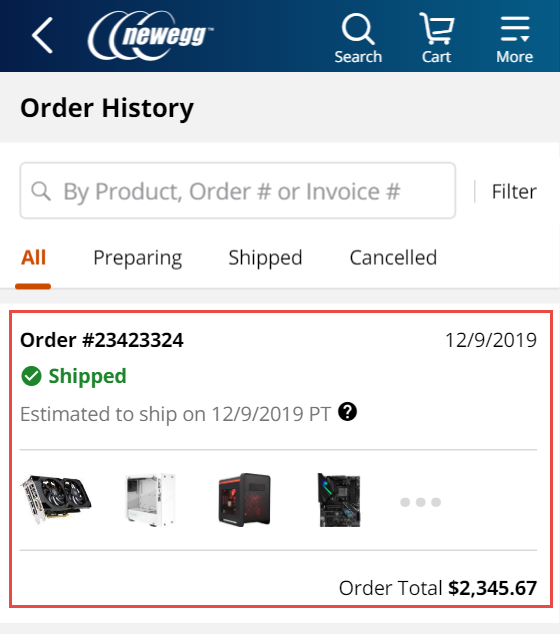 Orders take 1-2 business days to process before leaving the warehouse, while Marketplace items may take 1-3 business days. You will be notified via email once your order has been created as well as once your order has shipped. 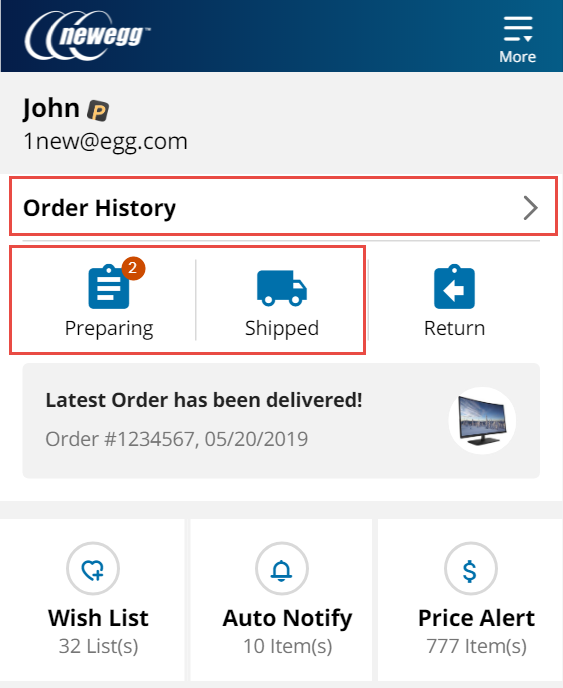 This tutorial will guide you through the process of how to check the status of an order and on the Newegg Global app. Click on Order History to find detailed information on your order. You can take a look at the Prepared, Shipped, and Returns icons to see if any orders fall under these categories. A number will show up next to these icons to tell you how many orders there are for each one. 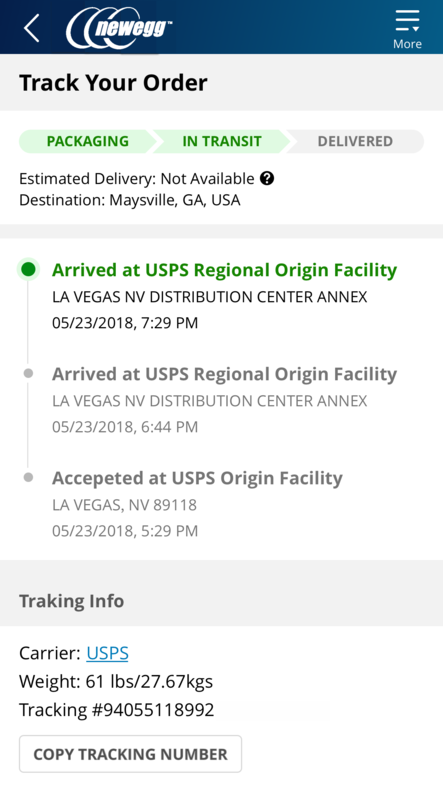 The Order Details will show all the info for the order such as the tracking status of the order, the tracking number, the billing and shipping address, all the items under the order, the price of all the items, any discounts on the order, and the seller name(if it’s from a marketplace seller). 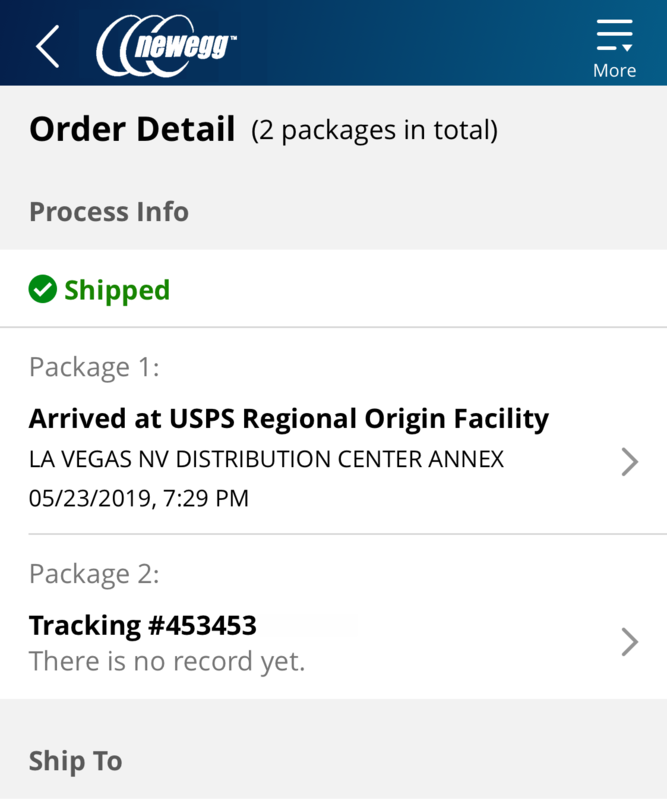 When you click on the tracking number for a package, you will be able to see more information on where the package is.